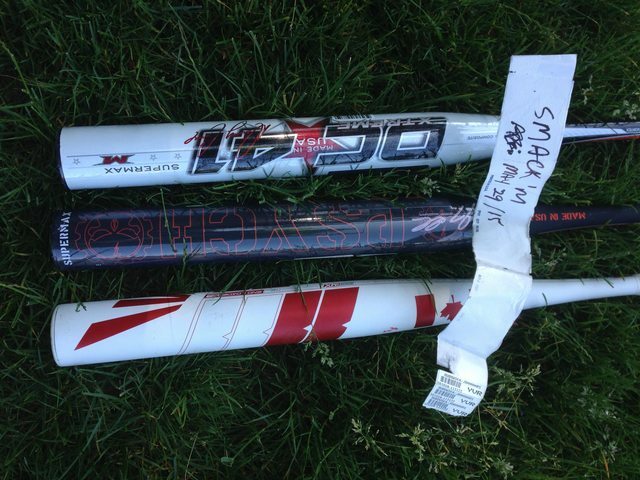 Selling these bats and am looking for NIW Combats or cash. At this time the NIW Dc41 is not for sale. Gee.. this thread isn't going to last long. Someone just sold a NOW DC41 on SBF for $200 US, so that NIW is definitely worth a pretty penny. '15 Miken DC-41 RI 27oz. || '16 Miken Freak 12 27oz. || '15 Worth Ressy Legit 27oz. || '16 Miken Cdn 2-Pc Psycho 27oz. You are right. They will go higher because now there will be an OG and an RI and we all know the OG will be hotter! Of course it is, but some people you can't convince otherwise, and we all know that. A bat could have a different paint job and still some people will believe the original is hotter, thus keeping its value. Kinda like the D2e psycho??? ?